Spine Correction Center of the Rockies is passionate about providing natural solutions to patients diagnosed with scoliosis. Scoliosis facts and prevention can help you deal with the symptoms and pain of this condition. You may not think too much about your posture, but it can greatly affect the curvature of your spine, how you function during the day, what your body can do and even how you hold your weight. When being told to sit up straight, the concern is keeping a healthy spine. Scoliosis causes the spine to curve towards the left or right side of the body, meaning that your spinal column is out of alignment. You could experience difficulty breathing, aching around the spine, uneven hip and shoulder alignments and other problems with posture and movement. Scoliosis patients generally have an S or C shape to their spines when viewed on an x-ray. The spine curves sideways to the left or to the right. Nearly half of all cases have no discernible cause, but this can sometimes be good news. Patients with scoliosis generally experience uneven hip or shoulder alignments which may affect height/stature and how you carry your weight. They often experience dull aches around the spine, difficulty breathing, a twisted torso or rib cage and prominent shoulder blade exposure on one side or the other. It is abnormal for an adult to develop a severe spinal curve without a major injury or tumor though. Scoliosis only affects about 2-3% of people in the United States according to the American Association of Neurological Surgeons. 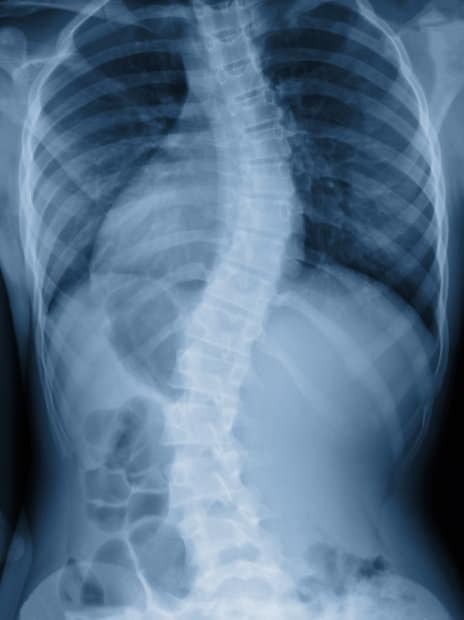 Overall, that equals about 9 million people in the U.S. that have scoliosis. There may be even more that don’t realize their back issues stem from this condition. Scoliosis can happen to anyone no matter their age, even though it is more common in children. Signs of this condition most often happen at a younger age, which is why it’s important that children have a spinal checks early and often. When diagnosed during the childhood years, it’s easiest to fix the problem to prevent permanent problems. Our natural (meaning non-surgical/non-narcotic) therapies boost your body’s inherent ability to heal itself from damage. We have various chiropractic manipulation treatments that seek to help realign the spine and keep it in place over time. When your back doesn’t follow a straight line, back pain, injuries, nerve damage, muscle weakness and more can happen. We relieve pressure on joints that receive uneven pressure from everyday actions. Our spinal adjustments also involve proper stretching, traction treatments and adjustments to keep pain at bay while the spine straightens out. In some cases, back braces and other support systems are needed for more severe scoliosis cases. Those braces can help provide gentle pressure in areas to start molding the spine curvature back into its natural curve. Often, this pressure and manipulation through therapy and support devices can do just as good of a job—if not better—than surgery and other invasive options can do. Throughout treatment, muscles can be tense and tired, which is why we also help muscle relaxation with massage and electrostimulation. Posture and balance training is also key to help your back hold you up correctly so the spine is properly supported. In many cases, simple posture, nutrition, and lifestyle changes can go a long way at strengthening and supporting your back as our natural therapies correct your spinal alignment. Over time, your back can become straight without damaging surgery. You reap all the benefits without mounting bills and time taken off work for recovery. We have gone through extensive training and certification to become one of only a few clinics in the United States that operate as a Scoliosis Treatment Center. This classification allows us to treat scoliotic curvatures that vary from 5° to those more severe in their 70s and 80s. It can be hard to know what a natural spinal curve looks like and what scoliosis looks like. If you have the condition, it can worsen for years until it starts to cause you health problems. We see patients for both consultations and exams, as well as treatment therapies to straighten the spine. 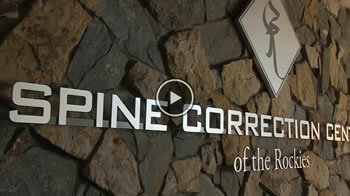 Spine Correction Center of the Rockies professionals have had extensive training and certification to become one of only a few clinics in the United States that operates as a Scoliosis Treatment Center. This classification allows us to treat scoliotic curvatures that vary from 5 degrees to curvatures in the 70- and 80-degree range. We have chosen to specialize in intensive scoliosis treatment because it is our passion and we believe we are making a difference in our patients’ lives. Please see our Scoliosis page to learn more. If you believe you have scoliosis, or you have back pain with or without a determined cause, call Spine Correction Center of the Rockies at (970) 658-5115 for your free consultation!